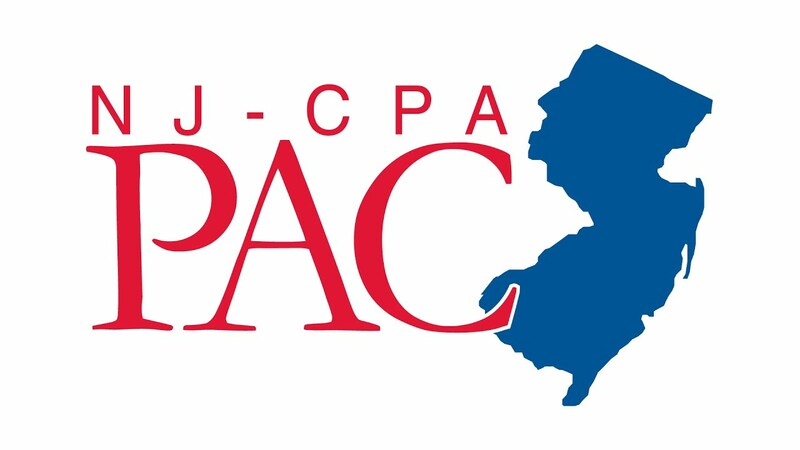 The New Jersey CPA Political Action Committee (NJ-CPA-PAC) allows CPAs in New Jersey to pool their resources to help elect candidates for state office who demonstrate a positive concern for those issues important to the CPA profession and business community. The NJ-CPA-PAC is not affiliated with any political party and is organized and operated on a non-partisan, independent basis. The NJ-CPA-PAC works to protect our profession, helping to elect lawmakers who fight unfair legislation that would hurt CPAs and the clients and the businesses they work for. And they support the legislation that benefits CPAs and the business community. Contributing to the NJ-CPA-PAC is one of the easiest and most effective ways for CPAs to get involved in the political process and have an impact on the CPA profession. Now, more than ever, it is important for every CPA in the state to join the NJ-CPA-PAC. Stopping attempts to impose a sales tax on professional services. The past decade has seen several attempts by lawmakers to adopt a sales tax on professional services to close persistent budget deficits. Over the past three years, there has been a national trend for states to adopt, or try to adopt, a sales tax on professional services. Supporting legislation to allow pass-through entities to be taxed by the state at the entity level instead of the personal level. This would allow pass-through owners to get around the new SALT caps on the GIT. Supporting legislation to reduce CPAs' liability exposure. The CPA profession supports legislation that requires that civil actions alleging professional malpractice be brought within two years. Currently, the statute of limitations in these cases is six years. We are also fighting several bills that would increase CPAs’ and their clients’ liability exposure. Fighting for tax reform. New Jersey needs significant tax reforms to promote economic growth, stop outmigration and make the state more affordable. What do candidates do with the money they receive from the PAC? Contributions received by candidates must be used in accordance with strict state laws that are enforced by the NJ Election Law Enforcement Commission. Generally speaking, most of the funds are used by candidates to “get their message out,” with mailings, flyers, events and so on. None of the funds can be used for personal use. Who decides what candidates get PAC funds and how do they make their decisions? A 12 member PAC Board of Trustees makes the decisions on what candidates to contribute to. Their decisions are based on several factors, including political research conducted by the PAC and the NJCPA, input provided by the NJCPA's Trenton-based lobbying firm and the insights provided by CPAs just like you; local CPAs concerned with the political and legislative process. This research and input includes an assessment of a candidate's position on issues that impact CPAs in New Jersey, an objective assessment of a candidate's "electability," and the relative ability of the legislator to impact the profession via his or her legislative committee assignments and/or leadership position. But, I don’t want my money to go to support Democrats (Republicans). Why should I contribute to the PAC? The PAC is non-partisan in its selection of candidates to support; mere party label is not considered. The voting record and quality of each candidate determine who gets PAC support. 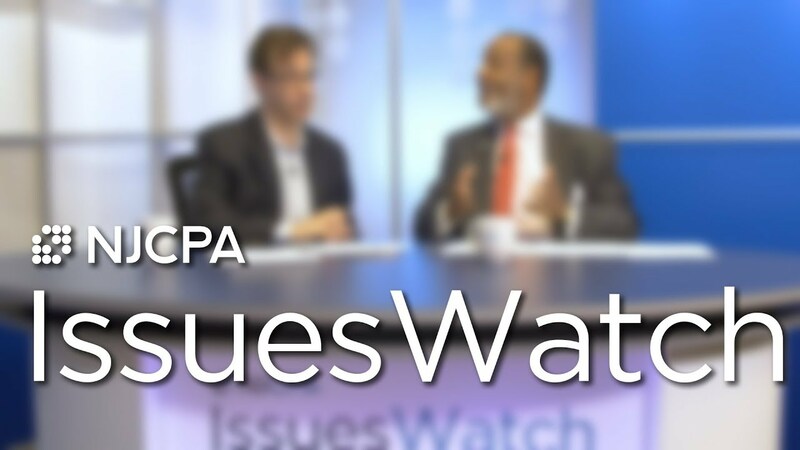 What concerns the PAC is not what party a candidate is a member of, but rather whether that candidate will have a positive impact on legislation that affects CPAs and the business community. What do CPAs “get” for their contributions to the PAC? They get the chance to effectively support those candidates who can have a positive impact on their profession. Elected officials supported by the PAC may not always agree with CPAs on every issue, but they are likely to at least give the voice of CPAs a “seat at the table” and provide the profession timely access to their decision making process. How do I become a member of the NJ-CPA-PAC? Contributions to the NJ-CPA-PAC are entirely voluntary. You do not need to be a member of the NJCPA to make a contribution to the NJ-CPA-PAC and conversely, contributions to the NJ-CPA-PAC are not a requirement for membership in the NJCPA. Click here to make a contribution. Who can be a member of the NJ-CPA-PAC? Any person holding a valid CPA certificate can be a member of the NJ-CPA-PAC. Membership is on an annual basis. The suggested annual contribution is $75. However, any size contribution automatically makes a CPA a member of the committee. A 12-member Board of Trustees acts as the governing board for the NJ-CPA-PAC. All Trustees must be members of the NJ-CPA-PAC and must be sustaining members of the Committee. Furthermore, as provided for in its bylaws, all of the Trustees must serve without pay. Every member of the NJ-CPA-PAC may attend the Board meetings and provide input into NJ-CPA-PAC activities and initiatives. These meetings are generally held three to four times a year. See a list of upcoming meetings. The PAC, using an informed decision making process, contributes financial support to candidates for state office who have demonstrated a positive concern for issues important to the CPA profession. The PAC also contributes to CPAs who are candidates for local and county office and helps to fund grass roots initiatives in support of our legislative goals. Why do we have the NJ-CPA Political Action Committee (PAC)? Because what happens in the legislative and political arena often affects CPAs, their clients and the companies where CPAs work. Political and legislative decisions affect our ability to do business. The PAC allows CPAs to pool their resources and support those candidates who support the issues important to CPAs. PACs provide an effective, legal, and ethical system for promoting candidates and issues that we favor. There are currently no upcoming PAC meetings. The NJ-CPA-PAC, is a non-profit entity that was incorporated in 1977. It is not affiliated with or controlled by the New Jersey Society of CPAs. It is funded with voluntary contributions made by CPAs. Those contributions are not tax deductible. The NJ-CPA-PAC complies with all applicable laws and files quarterly and annual reports with the New Jersey Election Law Enforcement Commission.